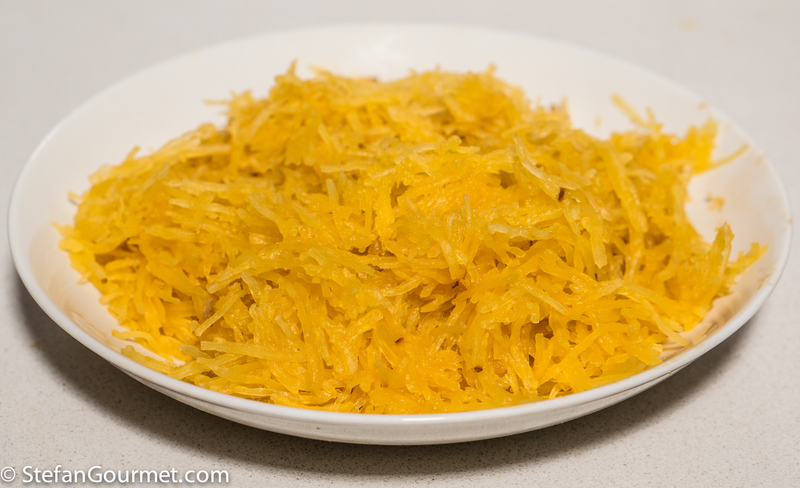 Have you ever heard of spaghetti squash? I had not until I read about it on Shanna’s wonderful blog. 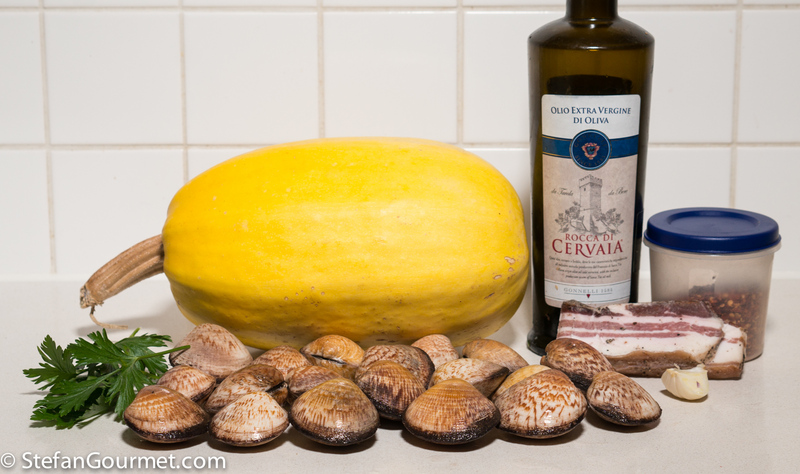 Coincidence or not, this autumn for the first time I saw spaghetti squash in markets here. The name may sound strange, but when you look at the texture of the cooked squash it is clear where the name comes from. After buying my first spaghetti squash, I had to figure out what to do with it. Preheat the oven to 200C/400F. 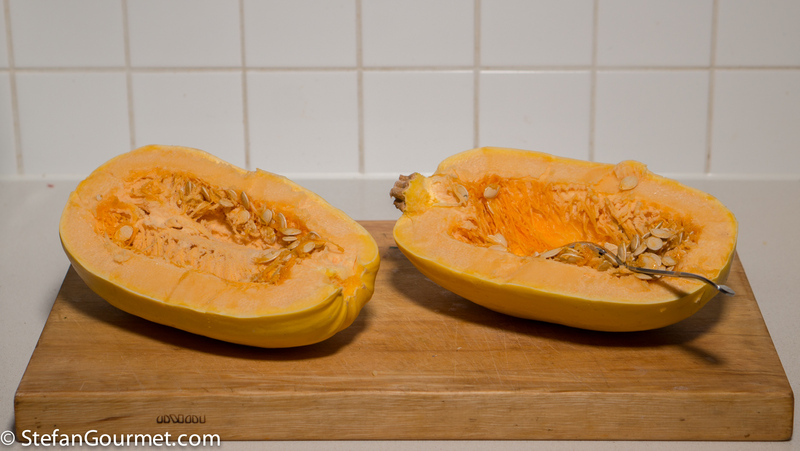 Cut the squash in halves lengthwise and scoop out the seeds. Be careful when cutting the squash, as the skin is quite sturdy. Bake the squash on a baking sheet with some water for 45 to 60 minutes at 200C/400F, or until the squash is tender (you can check with a fork). 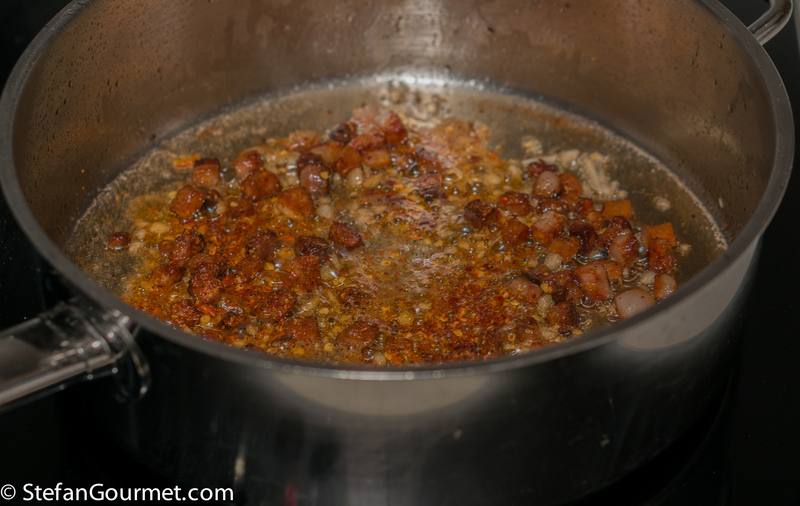 …stir, and add chilli flakes to taste. 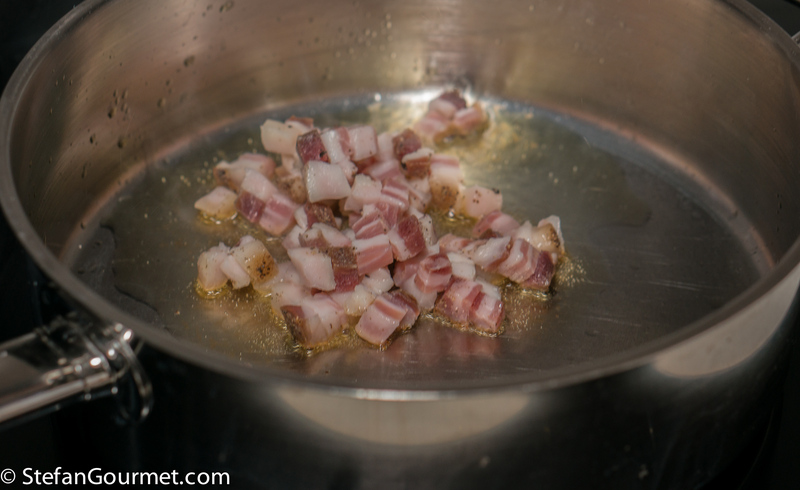 …and 80 ml of dry white wine. 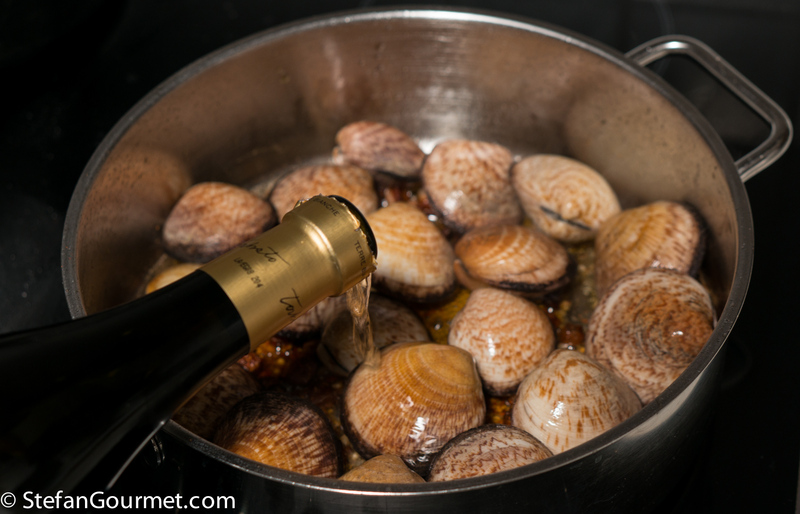 …until the clams open, then turn off the heat. 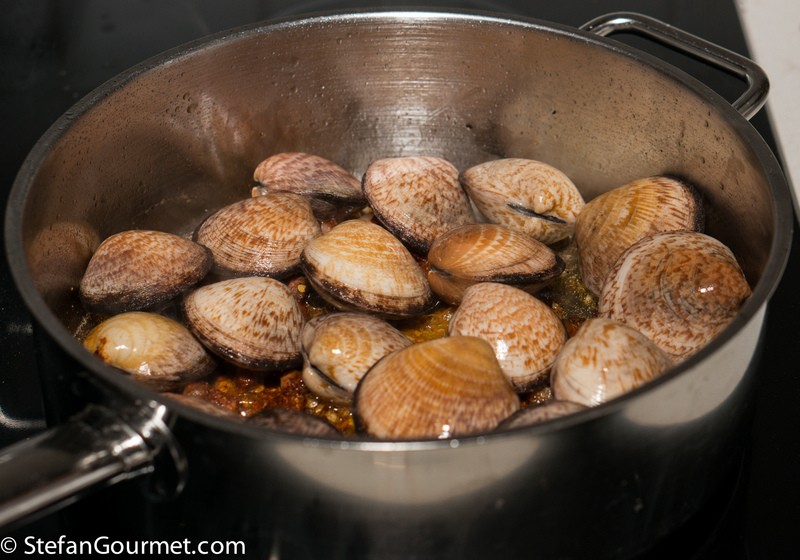 Do not overcook the clams, as that would make the tough and rubbery. When the squash is tender, scoop out the flesh with a fork. Divide the squash ‘spaghetti’ on two preheated plates. 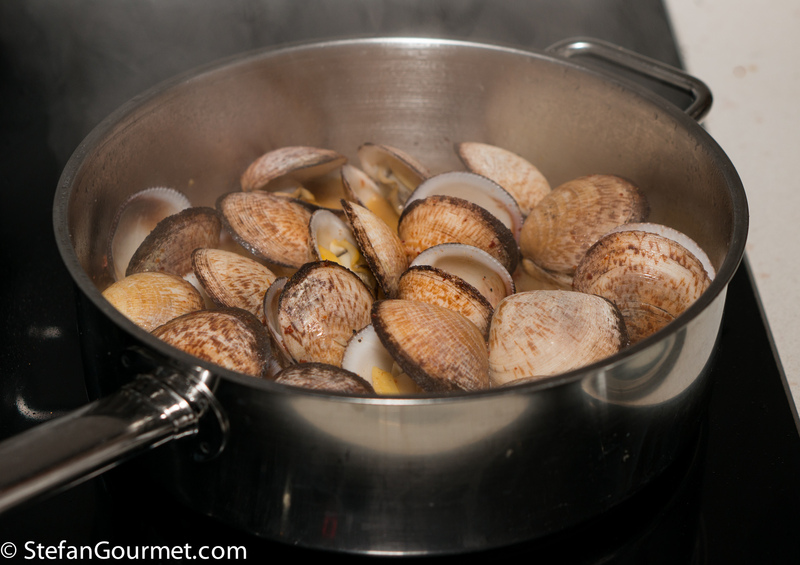 Serve at once with the clams as well as the bacon and juices from the pan, and garnish with minced parsley. Drizzle each plate with a tablespoon of the best extra virgin olive oil you can afford. We had a Torbato from Sardegna with this dish. 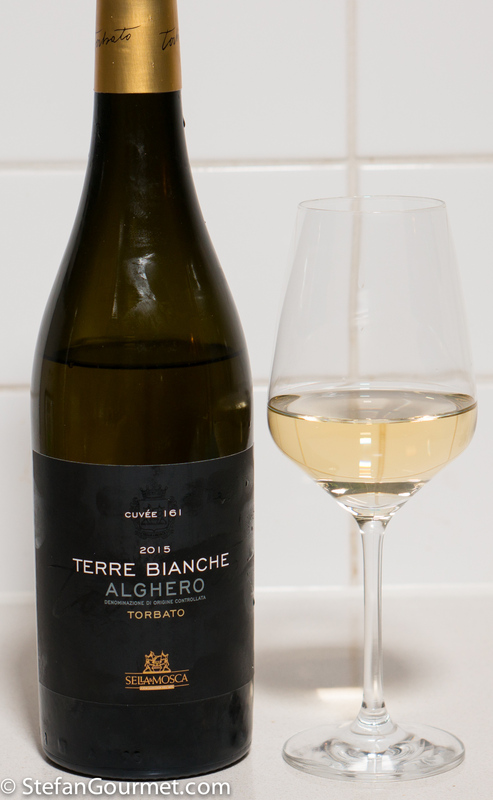 It is likely you have never heard of this grape variety, because I had not either. There is only a little of it left on Sardegna and in the south of France (where it is called tourbat). 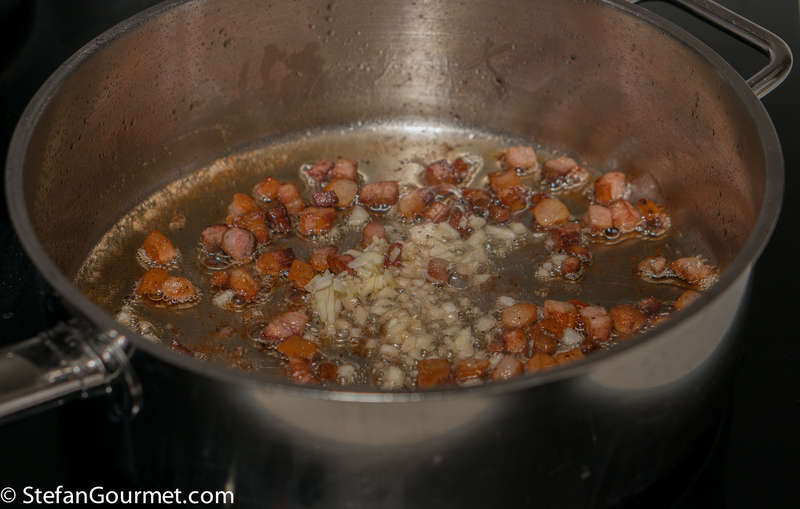 The combination worked well, as the wine could handle the complexity and flavor intensity of the dish, ****. 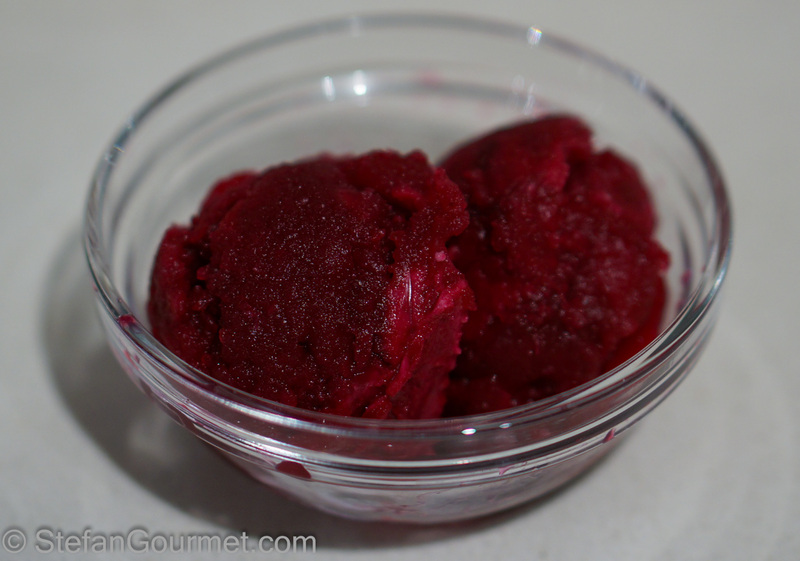 This beet, fennel, and ginger sorbet is great as (part of) an original dessert, or as a palate cleanser for your christmas dinner (if you use less sugar). Of course you’ll have to think of a better presentation than what I did in the photo above, like serving it in a martini glass and garnished with fennel fronds. I just finished cleaning after a big dinner with lots of families (neat freak 😉). It included a risotto with white wine and spring peas, and a spaghetti squash dish along side. 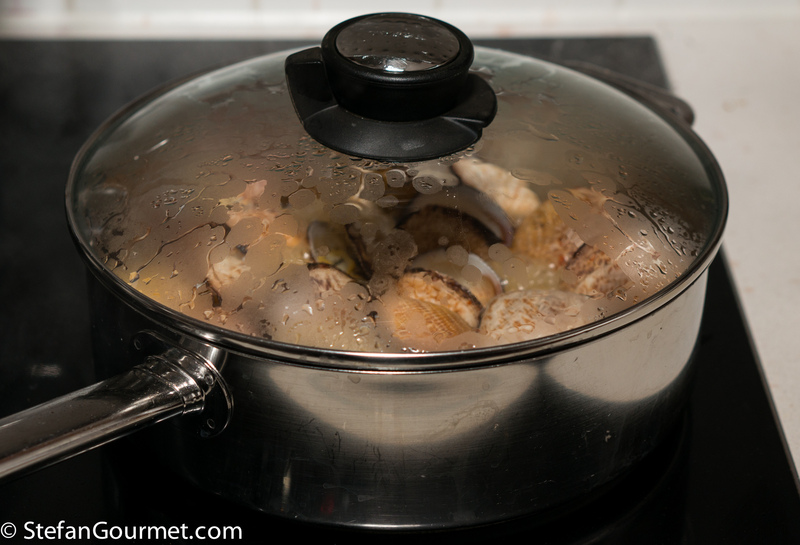 If only I’d had your recipe with the gorgeous shellfish. 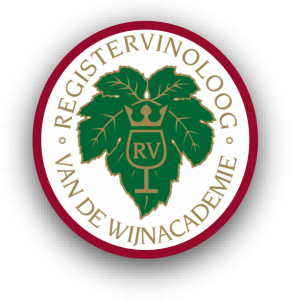 Kudos for finding this variety in The Netherlands- WOW. Bookmarking this. You have great technique, skill and creativity. 😁 My kids and partner would go crazy for this!!!!! PS Kids would have the preheated plates, probably not the wine. 😅 The wine sounds amazing! Nicely done, Stefan. I’ve made a similar dish using spiralized butternut squash and loved it. Never thought to try it with spaghetti squash — but now I will. Thanks for pointing me in that direction. 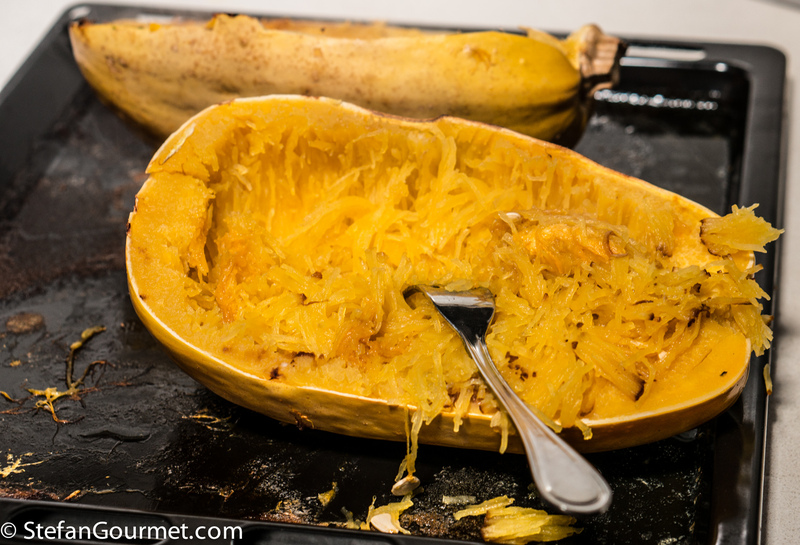 I love spaghetti squash, but didn’t get to making any this autumn. 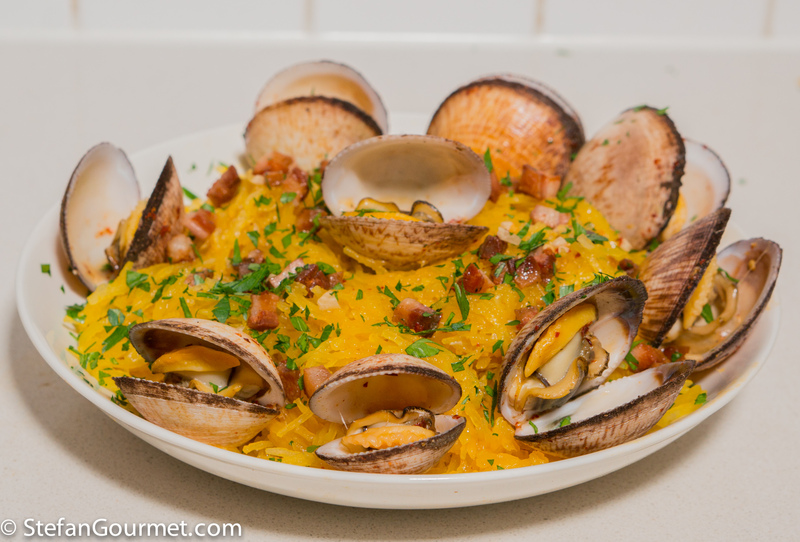 Your play on spaghetti con vongole looks wonderful, I have such a soft spot for clams! I used to make spaghetti squash frequently when I lived in the US. I would not have thought of pairing it with clams as I find it quite sweet and do not like my seafood sweet. This spaghetti see squash was only mildly sweet. Some combinations of seafood and sweetness can be quite nice. Have you ever tried scallops with vanilla? Afraid to say that I do not enjoy that combination at all. And it is very popular here. I am more of a sweet is for dessert person. I’m sure it tasted delicious … but it also looked so so pretty ! anche l’occhio vuole la sua parte, and it definitely got its parte ! Bravissimo come sempre Stefan ! I haven’t cooked spaghetti squash in several years. I would have never thought to pair it with clams but it looks delicious! Negli Stati Uniti gli clams con il bacon sono abbinati spesso. L’ho provato e mi è piaciuto. Vero! Nella zuppa di pesce! E’ piaciuta anche a me.